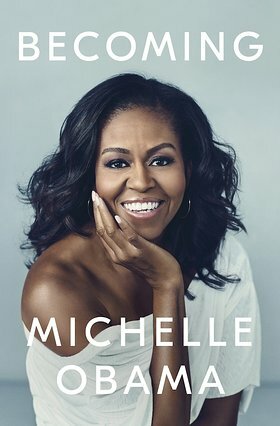 If you are sick and tired of the negativity in the world today, and you want to be reminded that there is still hope and inspiration out there, then Michelle Obama’s new book would be a good place to start. Becoming, by Michelle Obama, traces the rise of a woman who has emerged as one of the most iconic and compelling women in recent history. It is a no-holds-barred account of growing up in a low income community and becoming a change-maker – a women privy to the best-kept secrets in the world who, while trying to bring up children and maintain a relatively normal family in the face of all the craziness of politics, found herself thrust unwillingly into the spotlight and eventually became a beacon of hope in the face of darkness. From her beginnings in the South Side of Chicago to her eight years as First Lady, Michelle tells her story with grace and honesty. We are given first-hand accounts of her years before meeting Barack, her years as a black student at a mostly white college, her time as vice president at a hospital and director of a non-profit that helped young people build solid and meaningful careers. Michelle lets us in to her early life with Barack, the ups and downs that come with any relationship – and it is not all pretty. For the first time she tells of marriage counselling and the emotional pain of miscarriage, the dirty tricks of politics and her decision to stand up and fight for people in need. She reveals with honesty her personal doubts over the run for presidency, and for the first time chronicles the personal toll the presidency took on her, her family and her husband. We are also given a unique perspective of life in the White House over the Obama years, from security to the kitchen. 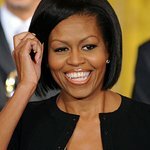 Nutrition in young people became one of Michelle’s most important legacies. She writes of her fight for better nutrition in schools – and it is quite a fight – and of the massive vegetable garden she installed in the grounds of the White House that eventually led to the creation of her Let’s Move initiative. She also lets us in on the decisions and risks she took in starting her other initiatives – Reach Higher, Let Girls Learn, and Joining Forces. So if you are sick of the darkness and want to see how one person can make a difference, Becoming is a good place to start. It is a book of grace and poise – a guide of how to conduct yourself and make the world a nicer place – that should be required reading for both students and presidents. It simply makes you want to go out there and become better.